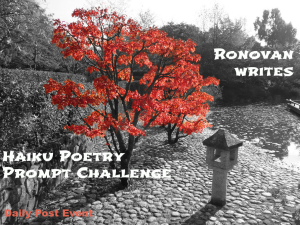 This week, the prompt words for Ronovan Writes Weekly Haiku Poetry Challenge are CHEER and CALL. How lovely. Thanks so much, Patricia 😀 I’m looking forward to the event. 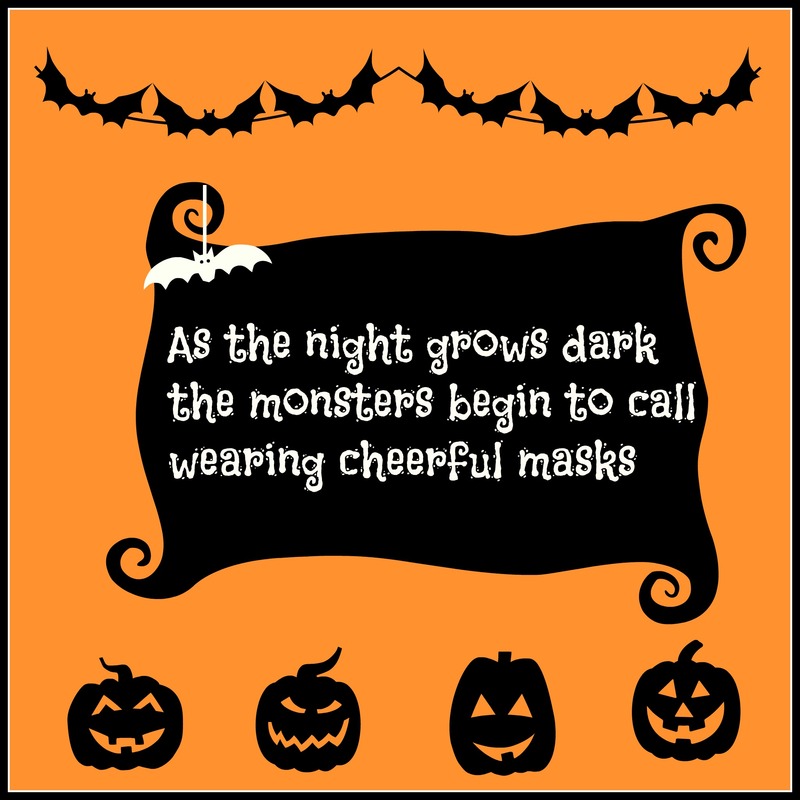 That is a wonderful Halloween haiku. I shared it on my Pinterest board. Me too! Though my favourite thing is when they’re trying to be scary and you can hear the chuckles beneath the mask! Spot on with this haiku, Mel. I love the design you have inserted the haiku into. Very seasonal. Thanks, Hugh 😀 I had fun playing with picmonkey! I love the image that goes with the haiku. It personifies the cheerful poem. Love the first one, so cute! Thank you, Elizabeth 😀 Some years I wish I could give out prizes, the outfits are so inventive. Though, with sweets – I get everyone gets a prize! Thanks, Edwina 😀 Not long now until the monsters come calling! Thanks for the coffee – Chuck’s special blend I see 😉 I hope you’re well and the muse is firing on all cylinders! Yeah, the muse is firing on all cylinders. ALthough I had lapse into note mode and lurking online for tidbits.